If you play sports, or just follow them, you understand the importance of the mental side of the game. Winners are confident, focused, tough-minded. Losers may be less gifted athletically, but their toughest challenge is usually overcoming doubt. When the weaker opponent is on mentally--or the stronger opponent is not--that's the recipe for an upset. In the business world, we tend to underestimate the importance of attitude and focus. But you don't have to look far for evidence of the powerful influence of mindset on performance. Just crawl inside your own head. How much does confidence, focus, and attitude impact your work? Now multiply the effect by the number of employees in your firm. That's why the issue of morale goes much deeper than how people feel. It affects how they perform. So here's the scenario facing many A/E firms these days: Morale is down due to eroding revenues, staff reductions, increased stress, and an uncertain future. But people need to step up and perform at a higher level if the firm is going to turn things around. The leadership challenge is: How can you lift morale (and thus performance) in a downward trend? Don't embrace a victim mentality. It's easy to shift blame to the economy, portraying your firm as innocent bystanders in a malicious marketplace. But many A/E firms are doing quite well despite the recession. Are they merely fortunate or did they earn their good fortune? The problem with blaming outside forces is that it seemingly leaves people with little recourse. Those firms are "riding out the storm" hoping the "economy turns around before too long." A strong wind can topple a sailboat headed in the wrong direction or propel one to victory in a race. It's a matter of aligning yourself with opportunities and harnessing circumstances to your favor. Victims are in a dour mood these days; victors are busy trying to get ahead of the game. Get everybody involved. Employees are more encouraged and confident when they feel they can make a meaningful contribution in tough times. It lends them some sense of control over the outcomes. One of the worst things for morale is when firm leaders retreat into their bunkers, hiding behind closed doors, limiting communication with staff, and making decisions that leave out but ultimately effect firm members. Strong leaders effectively engage their people in tackling the company's challenges, and the more people you can enlist, the better. It clearly boosts morale, not to mention the advantage of tapping into more problem solvers. Develop and commit to a plan of action. Most A/E firms are by nature reactive. That may get you by in good times, but in the current economy you need a plan and disciplined action. Besides the inherent benefits of planning and action, it's good for morale as well. Employees want to know that the firm has charted a course through this economic storm. As noted above, engaging them in the process is even better. As things are fast changing, don't let your plan stagnate. Revisit it often and modify your course as necessary. Speaking of mindset, let me encourage you to plan beyond merely weathering whatever challenges your firm is currently facing. There is a vast difference between firms that have what I call a "survival mindset" and those with a "success mindset." The former may lead you to develop a short-term corrective action plan, more defensive than offensive in tone. That does little to lift spirits. Whatever short-term corrective actions are needed should be done in the context of a longer-term vision for emerging from the recession even stronger. Balance honesty with optimism. Actually, to achieve a balance you need to go heavy on the optimism in tough times (that's why a success vision is so important). Perhaps my greatest failure as a manager was failing to realize this fact. I thought it important to be honest with staff about the difficulties we were facing. But I failed to offer enough hope and optimism to counter the bad news. My staff became discouraged and performance slumped when we could least afford it. Thankfully our downturn in business was relatively short-lived. This one isn't, and may go on much longer. Beware of letting your staff get bogged down in the current reality; give them a hopeful vision of the future to carry them through. But don't whitewash the present situation or paint an overly optimistic view of the firm's prospects. That will undermine your credibility. Do your homework. Get the facts right. Outline a realistic plan. There are many opportunities, even in the current economy, to build competitive advantage. Be generous with praise and appreciation. We tend to be stingy with this--not intentionally, but by distracted neglect. Now is a time to make it a priority. There is abundant research that points out how important this is, yet receiving recognition and feeling appreciation are typically among the lowest scores I see in employee surveys. 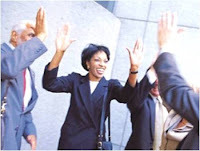 Push everyone in supervisory roles to step up their praise for good work and hard effort among their staff. Establish or reinvigorate formal means for recognizing employees' accomplishments. These are simple, but powerful, steps for boosting morale and job satisfaction. Have some fun. One of the things I did right when leading our office through tough times was to establish the Fun Committee. That group's responsibility was to create activities to inject a little more enjoyment and stress relief into our work week. We had potlucks, special speakers, contests, and other activities--mostly over lunch--that proved valuable in lightening the mood around the office. It was just the tonic we needed to emerge from the downturn stronger and closer than ever. So what's the mood in your office? Have you taken the time to find out? Among the various strategies you might be exploring to navigate your firm's way through this recession, don't ignore staff morale. It's the mental side of the game that may ultimately determine whether you win or lose in this hyper-competitive marketplace. Nice post. I find that people feel good about where they work when they know they can make a contribution. Developing a plan with a shared vision of where you want to go is a great way to remain focused and accomplish your goals. Thanks, John. I always appreciate your feedback!